Shopping for a new Chevrolet Sonic? Be sure to ask about incentives on the often-discounted 2019 Chevrolet Sonic. The city-friendly 2019 Chevrolet Sonic enters its eighth year with more candles on its cake, but little else. 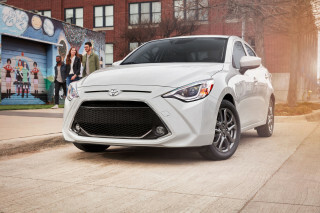 This subcompact sedan and hatchback lineup is showing its age. In terms of engines, it’s a tale of two 4-cylinders, one coming in the form of a 1.8-liter naturally aspirated engine and the other sporting a turbocharger but ringing in at 1.4 liters. You’ll want the turbocharged engine, and the 6-speed manual transmission for more driving fun, but the majority of buyers will likely opt for the 6-speed automatic. On the road, the Sonic is surprisingly quiet and comfortable, with a more stylish interior since its last update, though the back seat remains tight. 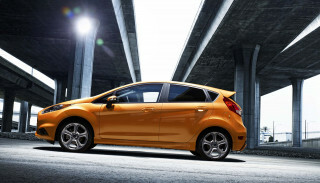 The Sonic hatchback costs only a little more than the sedan and it’s our choice for its spacious cargo area. As its competition continues to wane, with the Ford Fiesta in its final year and subcompact cars selling slower each year, now may be the time to pull the trigger on a Sonic. The 2019 Chevrolet Sonic's styling has aged well. The signature two-part Chevy grille is less prominent than in years past, and adding the RS package makes the car look nearly like a hot hatchback or sedan, with the option for up to 17-inch blacked out wheels. The Sonic also refreshingly offers a number of bright colors, including a new hue for 2019 called “Shock.” Overall, the hatchback looks better than the sedan, if only because it seems to have been designed first.he sedan looks more like an afterthought with its blocky trunk. Inside, a revised instrument panel and simple dashboard are refreshingly void of details that try too hard, and condense the useful information right in front of the driver in a clear format. A standard touchscreen is front and center above intuitive climate control knobs, and material quality is better than some of its competitors from across the Pacific. The 2019 Chevrolet Sonic can be a fun little car, especially when you opt for turbocharged power. The base engine choice is a 1.8-liter naturally-aspirated four-cylinder, which makes just 138 horsepower and 125 pound-feet of torque shuttled to the front wheels through either a 5-speed manual or 6-speed automatic transmission. Opting for the 1.4-liter turbo-4 nets an additional 23 pound-feet but no additional horsepower, and one more cog on the manual gearbox option. The turbocharged engine the one to have and boasts perkier acceleration without a fuel economy penalty. 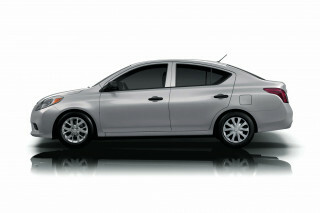 As far as subcompacts go, the Sonic is fun to drive, with a sturdy quality about it and well-controlled ride. Chevy also gets points for a responsive steering unit with good weighting and feel unlike many of its lighter-feeling competitors. The 2019 Chevrolet Sonic has decent cargo utility for a small car regardless of sedan or hatchback form. 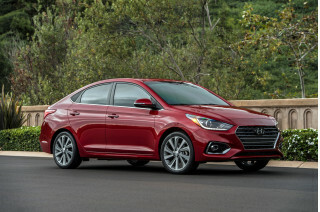 The sedan model sits on the same wheelbase as the hatchback, and while it packs an impressive 14.9 cubic feet of trunk space, the rear seat remains tight, and taller adults will find limited headroom. 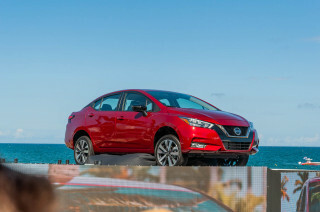 For versatility, though, the hatchback wins out thanks to its fold-flat seats and 19 cubic feet behind the rear seat, with a hidden storage bin beneath the floor. There are ample cup holders throughout and a few storage bins here and there, but those who haul a car-load of things on a regular basis may want something larger, or at least more versatile like the Honda Fit. The Sonic’s interior materials are sturdy and finished with low-sheen textures that impress for its low price. The 2019 Chevrolet Sonic has good crash-test ratings, but it’s light on active safety tech. While ratings for 2019 have not yet been released, the 2018 version of the Sonic managed five stars overall in every category minus rollover from the NHTSA, and “Good” in every crash test performed. While standard active safety features are minimum, the Sonic does offer forward collision warnings, blind-spot monitors, and parking assist on the LT and Premier trims. 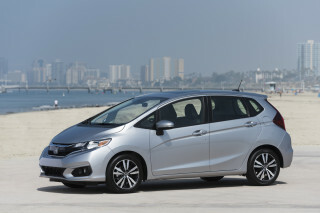 There’s unfortunately no option for automatic emergency braking, adaptive cruise control, and active lane control, features available on an increasing number of rivals such as the Honda Fit and Toyota Yaris. 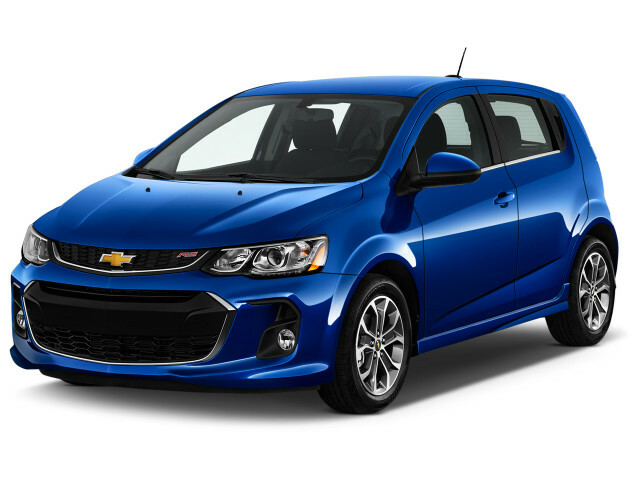 The 2019 Chevrolet Sonic is pricey for a small car but can be well-equipped with a few options checked.. While the hatchback is only available on the upper two, Sonic sedan buyers have their choice of LS, LT, and Premier trims. The $16,000 LS includes such throwback features as wind-up windows and manually-adjustable mirrors, not to mention 15-inch steel wheels with plastic covers. It’s like a hipster, but not a cool one. The LT trim, which is the most popular, adds power windows and mirrors, cruise control, 15-inch alloys, a six-speaker audio system, some chrome trim, and offers some optional features plucked from the Premier trim. A Sonic LT hatchback with the turbo-4 engine a few options costs about $20,000—a decent value for a high-feature runabout. Opting for the top-tier Premier adds power-adjustable front seats, 17-inch alloy wheels, fog lamps, a leather-wrapped steering wheel, and enhanced digital instruments. All versions of the 2019 Sonic come standard with a 7.0-inch touchscreen for infotainment with Apple CarPlay and Android Auto compatibility, plus a 4G LTE Wi-Fi antenna that can turn the car into a mobile hotspot. That’s tech not found on some cars costing three times as much. Hatchbacks run a reasonable $100 more than sedans, money we’d gladly pay for the extra utility. The 2019 Chevrolet Sonic manages a decent 32 mpg combined with its turbo-4 engine. Equipped with the more efficient (and more sprightly) 1.4-liter turbo-4 engine and 6-speed manual transmission, the Sonic manages 28 mpg city, 37 highway, and 32 combined. With the automatic transmission, those numbers drop slightly to 27/35/30. The base 1.8-liter inline-4 manages 26/35/29 with the standard 5-speed manual and 25/34/28 with the same 6-speed automatic found in the turbo. The EPA’s figures are identical for both engines buyers opt for a sedan or hatchback.